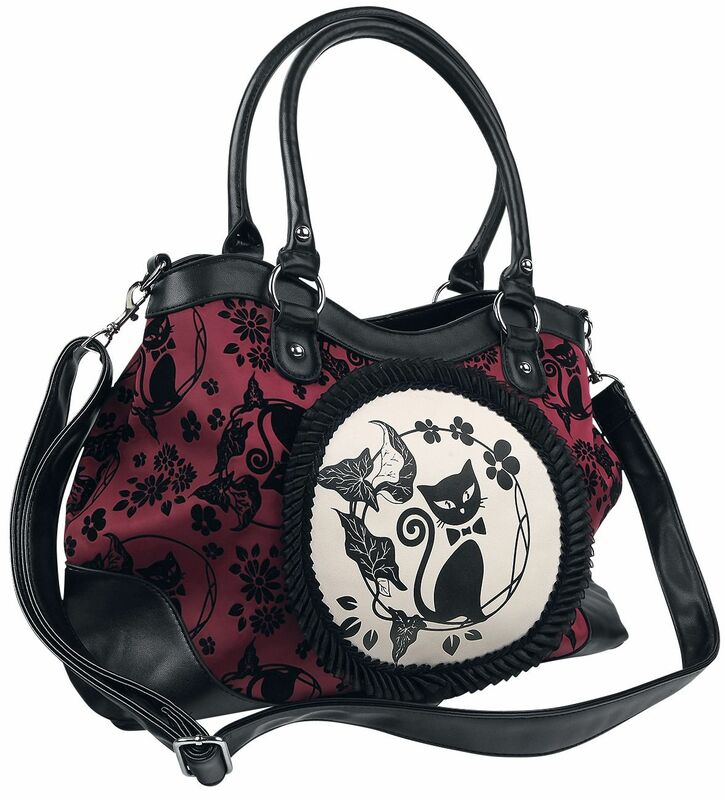 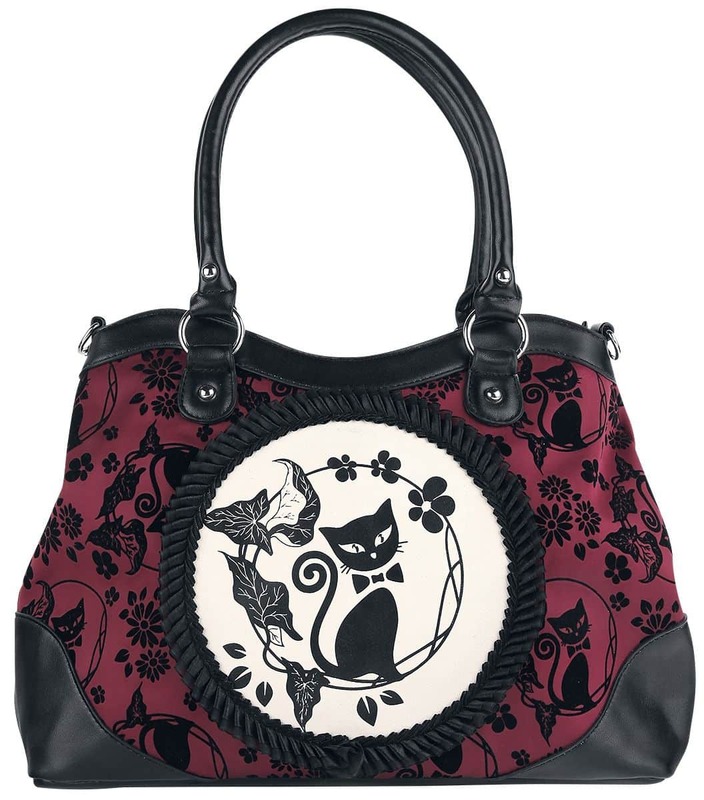 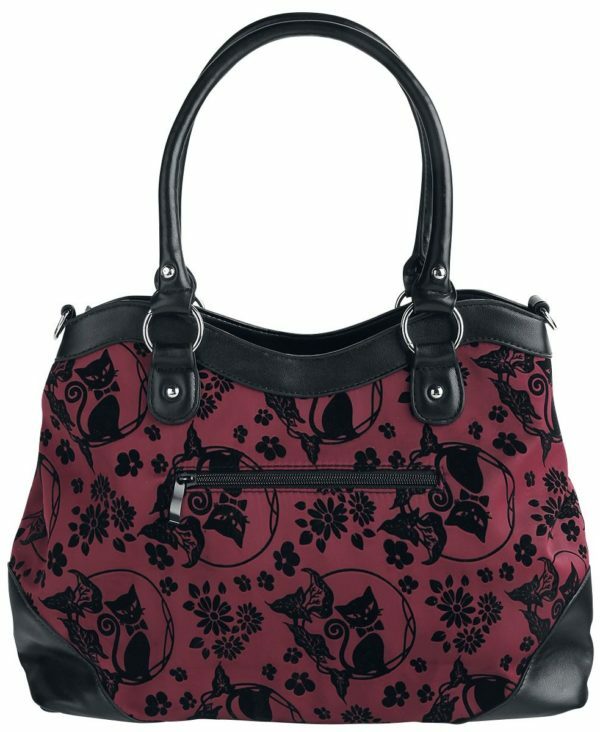 A multicolour hand/shoulder bag with a cat and floral pattern and on the front a cameo frame with a cat. 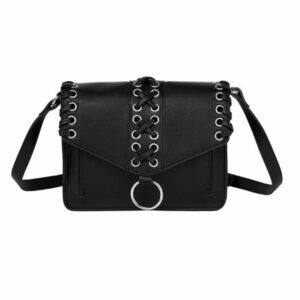 The bottom of the bag is made of PU leather, just as the top. 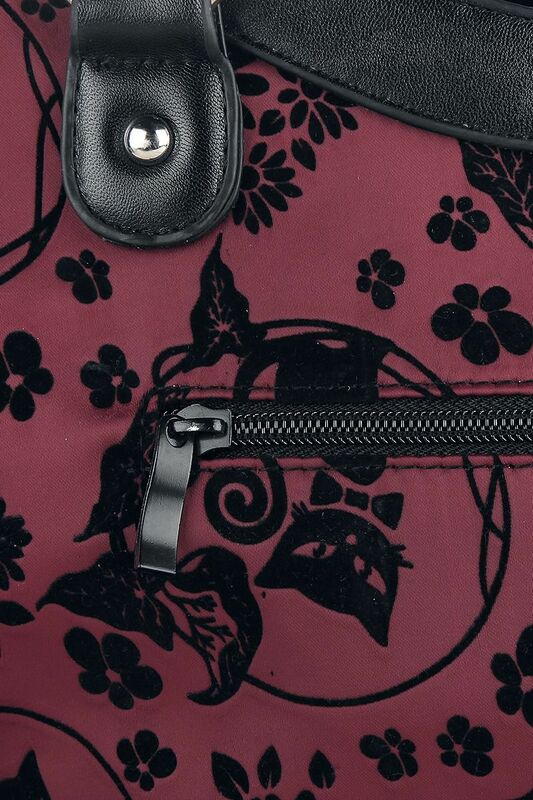 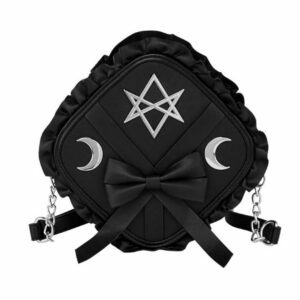 Also, the shoulder strap is made of PU leather. On the back, there is a pocket with a zipper.